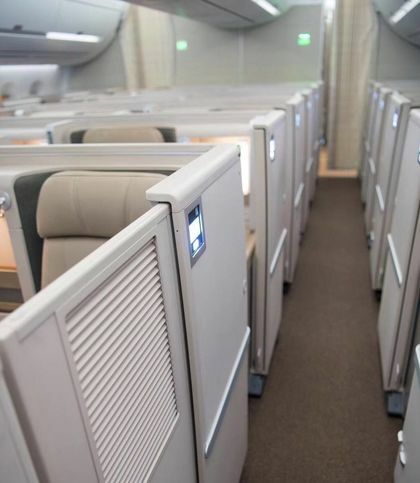 Flying business class aboard China Eastern's new Airbus A350s isn't what you might expect of a Mainland Chinese airline, offering private suites with closing doors beyond the more common features of a fully-flat bed with direct aisle access. Now with daily Airbus A350 flights between Sydney and Shanghai, Australian Business Traveller took to the skies to bring you this review of China Eastern's Airbus A350 business class. Frequent flyer program: Eastern Miles, SkyTeam. 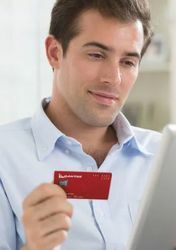 However, China Eastern is also a Qantas Frequent Flyer partner airline, so travellers can earn and redeem Qantas Points on China Eastern MU-coded flights, and earn Qantas status credits on Qantas codeshare flights also. Checked baggage allowance: 2x32kg bags as standard, boosted to 3x32kg for Eastern Miles Silver, Gold and Platinum members and other SkyTeam Elite and Elite Plus frequent flyers, although there's no additional baggage allowance for Qantas Frequent Flyer members. Carry-on baggage allowance: 1x10kg bag of up to 115cm, but I had no issues travelling with this plus a separate laptop bag in the cabin, as would be permitted by the published rules of most other airlines. Airport fast-track: Priority check-in, Express Path at security/passport control and priority boarding all worked as expected. Priority baggage delivery is also offered for those with checked bags. Complimentary chauffeur service: It's available, but quite restrictive: you have to book at least seven "working days" before you fly – which won't be possible for some business travellers – you have to choose between a transfer in Sydney or Shanghai with each flight (you can't have both), you can't request the chauffeur when booked on a Qantas QF codeshare flight, and if you need to change your booking, you'll be up for a $150 fee: in many cases being more expensive than what you'd pay to simply book your own driver. In Sydney, China Eastern business class passengers are directed to the SkyTeam Lounge, which provides a range of zones for working, dining and relaxing, and was better-stocked on the food front than the last time Australian Business Traveller stopped by. Through its partnership with Qantas, business class travellers and Qantas Gold frequent flyers can also opt to use the Qantas international business class lounge in Sydney, but as the current lounge is rather dated and soon to be refurbished, I stuck with SkyTeam. Qantas Platinum, Platinum One and Chairman's Lounge frequent flyers have one more option in Sydney: the Qantas First Lounge, which welcomes these travellers prior to China Eastern flights with a QF or MU flight number. As of April 1 2019, China Eastern's daily Sydney-Shanghai flight (MU562) is exclusively served by the Airbus A350, pushing back at 12pm daily (11am outside of Daylight Savings Time) to reach Shanghai at 7:20pm local time: a journey of 10hr 20min. Australian Business Traveller was on board the inaugural flight. On the return leg, MU561 is wheels-up at 8:20pm from China's financial capital, touching down in Sydney at 10am (9am outside of DST) – a slightly longer voyage of 10hr 40min. On selected days, the airline also operates a return Airbus A330 service between Sydney and Shanghai, but while some of these flights see fully-flat beds in a 1-2-1 layout, others get angled-flat bets in a 2-2-2 configuration, depending on which A330 is used for the flight. China Eastern also codeshares on Qantas' daily Sydney-Shanghai flights – and vice versa, with China Eastern's Australian flights also sold with a QF flight number, enabling Australian travellers to earn Qantas status credits. Finally, China Eastern also links Shanghai with Melbourne, Brisbane, Auckland, and seasonally, Cairns, among other international destinations. Other than Shanghai, you'll also find China Eastern flying from Sydney to Kunming, Wuhan, Nanjing and Hangzhou, plus Beijing (via Nanjing or Hangzhou) sold under a single flight number. 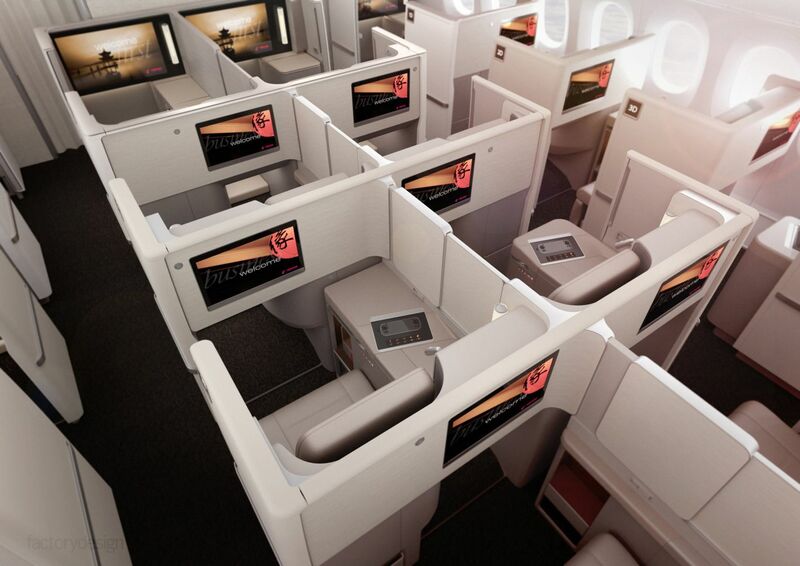 A passenger-pleasing 1-2-1 seating layout comes standard aboard China Eastern’s Airbus A350s – providing direct and uninterrupted aisle access for every guest, as you’d expect – but these are no ordinary business class seats: they’re private suites, complete with closing doors. The cabin crew have to manually unlock the ‘closing door’ function at each seat, so if that lever feels tough to pull or isn’t getting the door moving, just ask the crew to unlock your door, if they haven’t already offered. From the top down to the cabin floor, the door is 118cm in height – so you’re not totally hidden from passengers and crew walking past in the aisle – but you still get a good sense of privacy, and I didn’t feel too ‘closed in’ with the door shut. I also found that I couldn’t fit an AC charger into the outlet at the same time as my (BYO) Bose headphone adaptor was connected to the audio port, given their proximity shape: although that problem doesn’t exist when using the airline-supplied headphones, or Bluetooth with the entertainment system: but more on that later. While the armrest is fine where it is for those simply watching movies or enjoying a meal, when working on a laptop – as many business travellers do – it’s too high for typing, which means avoiding it: placing your arm next to it, rather than your elbow on top of it. This made the usable space of the seat feel a little squeezy when working for an extended period, and being able to move this out of the way would perfect an otherwise-comfortable seat, but being a staggered layout, I observed that passengers in the alternating rows with seats closer to the windows had a moveable armrest instead, making those seats a little more desirable. 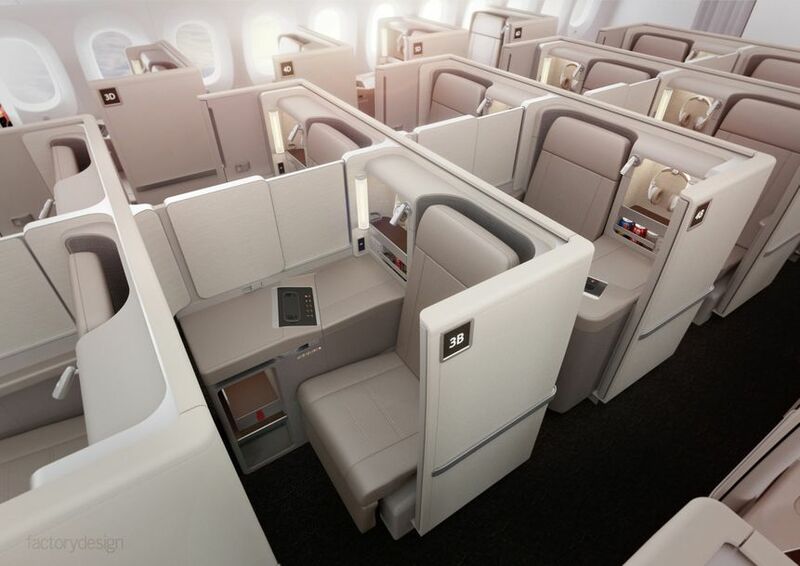 Separately, China Eastern also has a 'Business Class Plus' cabin on board its A350s, being larger suites in the first row of business class – a true 'mini first class' – but with business class service. Priced above a regular business class ticket, these can be booked via the China Eastern website, although the experience we're reviewing here is that of the standard business class cabin. … and passengers can pre-order their preferred drink for later – in this case, a Champagne I’d not tried before but which was perfectly drinkable: the Irroy Carte d’Or Brut. Although duck was already covered in the appetiser, as I was bound for China, selecting it again for the main was an easy decision. I’d also requested a white wine to pair with the main – Penfolds Koonunga Hill Chardonnay, a table wine I'll often drink at home – which arrived with water, too. … but was tempted by the ‘Hokey Pokey’ ice cream on a second pass – in the same ballpark as a burnt caramel flavour. An “anytime you wish” menu has you covered for snacks throughout the journey, offering potato chips, nuts, preserved fruits and fresh fruits, and with a 7pm arrival into Shanghai, dinner is served around two hours before landing. Closer to landing, passengers were offered a second bottle of water, which proved handy for the long taxi ride to my Shanghai hotel. In front of each passenger sits an 18.5-inch HD touchscreen monitor, offering a selection of entertainment choices: enough movies to get you through the flight and back home, but without as extensive a library as some other airlines provide, and with a rather limited TV show line-up. Beyond what's stored on the aircraft, the Airbus A350's external cameras also provide for interesting viewing, particularly on take-off with three cameras to choose from. I find these to be a great backdrop when working on a laptop, and will often keep the cameras open until there isn't much to see, when I'll revert to the more typical moving map: when not watching a movie, of course. The headphones were also collected about 45 minutes before landing – preventing theft, by why anybody would steal this set, I'll never know – so you'd be wise to bring your own higher-quality pair. ... and the crew on today's flight were friendly and attentive without being intrusive or passing through the cabin unnecessarily, and all had a good command of the English language (except when I ordered a white wine and a red was delivered, which was easily and promptly fixed). Complimentary inflight WiFi is available on board, which we'll cover in a separate review, but as I've found with most Chinese airlines, the seatbelt sign remained on for the entire flight, so you have to use your best judgement as to when to stand up: quite different to the 'light on, sit down' approach of airlines from most other countries, including Australia. As the window shades are motorised, the cabin crew also closed them all after take-off, but didn't object to passengers re-opening them who wanted a view or just a little natural light, as I always prefer on daytime flights. All things considered, I've been to China many times before but hadn't previously flown with China Eastern from Australia, and was pleasantly surprised with the experience: a sliding door in business class is more than can be said of most other airlines, and as a tech enthusiast, having Bluetooth-compatible inflight entertainment and free inflight WiFi in a modern Airbus A350 cabin makes for a pleasing experience overall. But having said that, if you're planning your own journey with China Eastern, keep in mind that the airline uses a range of aircraft types across its Australian routes, spanning older-style Airbus A330s with angled-flat beds in a 2-2-2 layout through to the airline's newest A350s with private business class suites, so if you want the sliding door and guaranteed direct aisle access, aim for the A350, if it fits your schedule. Chris Chamberlin travelled to Shanghai as a guest of China Eastern Airlines. I’ve heard registering for Wifi on China Eastern is somewhat convoluted, with the mainland ‘firewall’ preventing access to certain websites, emails and/or apps, even when flying outside of China. I look forward to your take on this Chris when you do your separate Wifi review. Hi Chris - any idea on the outbound routes to Europe from Shanghai that use the A350? Would be good to get this all the way through. Thanks! Frankfurt and Rome at the moment. Hey mate - what routes does the 789 ply? CES's own ones currently doesn't fly to anywhere but domestic; however Shanghai Airlines' ones (with identical hardware and config) flies from Shanghai to MEL, SIN and soon BUD. Good to see the Chinese based airlines amping up there game. Seems like a pretty solid choice, especially having the ability to use your own Bluetooth headphones . Would love a review on the ‘mini first class’. Hi Aidan, we didn't review the A350 Business Class Plus as part of this trip (instead, we'll be bringing you a review of business class aboard a different China Eastern route and aircraft type from the flight home), although China Eastern's A350 Business Class Plus is very similar to Malaysia Airlines' A350 Business Suite (formerly first class), which we've reviewed here. 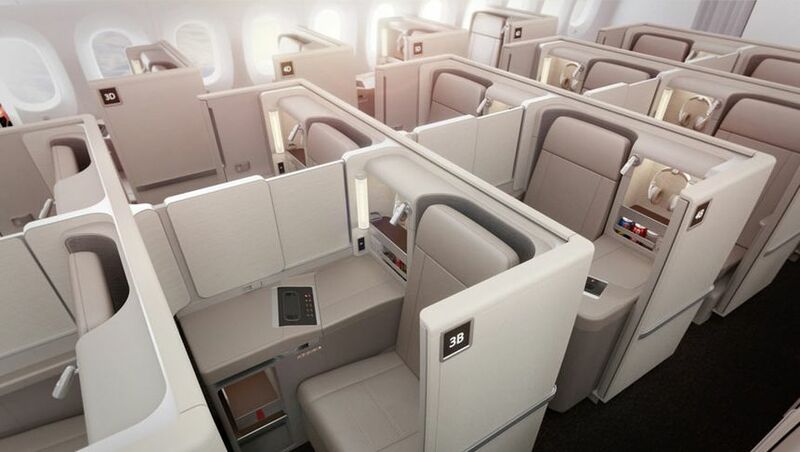 Myself and good woman booked the A350 business class plus seats for August ex SYD, looking forward to it. Enjoy the ride the leg room looks really good and the huge screen. amex teavel offers syd~pvg~can rt in biz for a bit over 2k, gets a ton of elite status as well, great alternative of china souther's dated a330 2-2-2 if you are going go to guangzhou. Better than China Southern's $5 champagne tho! Food looks better than QF / NZ. Shame about the wine and champagne. The smoking section up front is a nice touch too ! Although on many airlines daytime flights see crew closing electronic window blinds or if manual, either doing that or urging passengers to do, I like wherever possible to see out both sides. The light entering the cabin is good for reading, and avoids perception of a 'windowless hotel room' environment. So I'm not a fan of these doors. They may reduce noise a little, but they'd have to be floor to ceiling to make much difference surely. Any time I've seen MU passengers lined up for check in, there never seems to be more than a small handful of non-Chinese passengers, although I've never stood and watched it for three hours. 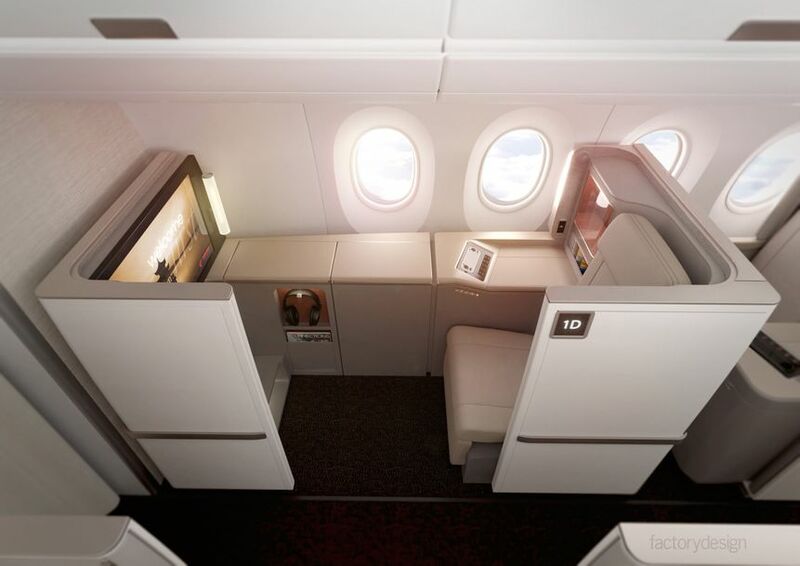 Comment on "China Eastern Airbus A350 business class (Sydney-Shanghai)"